It’s hard to look back at older games, especially as it’s difficult to remove the bias of nostalgia while playing. However, with the overbearing feeling of dread that’s approaching with the remake of Resident Evil 2 next week, I thought this might be the best time to revisit the original title. 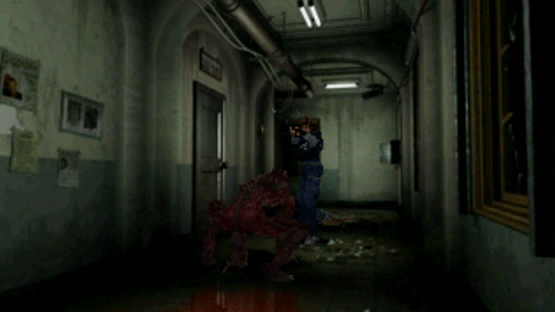 Resident Evil 2 opens up in a way that is semi-unique and dependent on which of the two characters, Leon Kennedy or Claire Redfield, you begin the game with. But, the core narrative beats remain relatively the same. Both characters find themselves in a catastrophically rundown Raccoon City, and become trapped inside the zombie-infested nightmare therein. The basic stories explain that Leon is arriving in the city to being his first day of work with the Raccoon Police Department (RPD), a day that he either was very late for, or was working a night shift, owing to him arriving into the city at night. 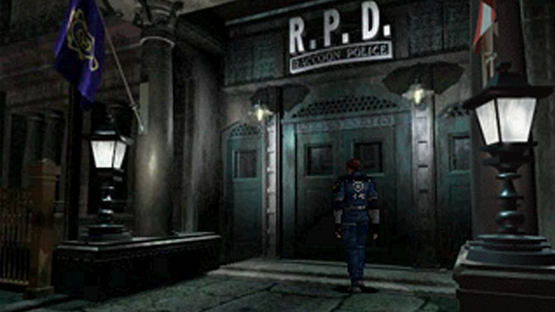 Claire is in the city to find her brother, Chris, who went missing in the events that followed the Arklay Mansion incident in the original Resident Evil. Through a sequence of phenomenal coincidences and mishaps, they find themselves together in the RPD building, and begin what would be a bad night for anyone as they attempt to escape the city. Who they come into contact with between them, and why, is dependent on the order of how you play the game, and this is one of the more interesting gameplay aspects of the game. Resident Evil 2 is divided up into four core scenarios; Leon A, Claire A, Leon B, and Claire B. Whichever character you start the game with will be in their “A” scenario, with the next character’s “B” scenario becoming unlocked upon completion. Both “A” and “B” scenarios are occurring at the same time. There’s also two bonus scenarios that can be unlocked too, with additional characters so there’s a lot of story to uncover. There’s no real “correct” way to play these through, but it’s commonly accepted that the easiest pairing is “Leon A/Claire B”, owing to Leon having a greater inventory and weapon selection easing the player into the game, and the canonical pairing (as of the narrative in Resident Evil 6) is “Claire A/Leon B”. But as these pairings are happening at the same time, you need to play at least one pair to get the full story of the game. Survival horror is the order of the day in Resident Evil 2. Unless you select the Easy Mode at the beginning, you’re competing with limited resources, restricted inventory space, and the ever encroaching undead and other monstrosities. Tank controls return and so you’ll be battling those for a while, however, the incredible addition of an auto-aim feature takes some of the stress out of combat seen in the original game. Returning too are the esoteric puzzles involving inconceivable methods of a Police Station security system; including, but not limited to, four electronic plugs in the shape of chess pieces, and three stones engraved with animals. Once again the series shows a penchant for architects that likely should have been institutionalised long before they got to work on grandiose projects that even the Jigsaw Killer would balk at. So, you’ll be running around the RPD and other fun-filled tourist spots like laboratories and sewers, avoiding (or shooting) the various creatures in your way and finding whatever strange object you need to progress. All pretty standard stuff for the PSOne era Resident Evil titles, but a set of mechanics that have arguably haven’t aged well, especially in comparison to later titles in the series such as Revelations. That’s not to say that Resident Evil 2 is bad to play, but aspects of its gameplay have definitely been refined and vastly improved over time. 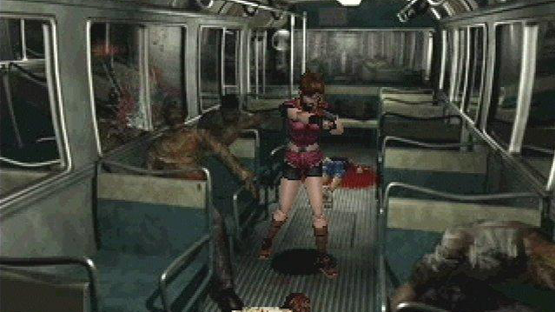 The quick turn and evades available in Resident Evil 3: Nemesis and the greatly increased movement options from Resident Evil 4 onwards to name a few. But, for its time, and within the constraints of technology and design, the second main title controls pretty responsively, if a lot on the cumbersome side. Then there’s the unlockables in the game, ranging from costumes to characters by way of weapons, and each with its own special unlock criteria. The Special Key, located pretty much at the beginning of the game on the soon-to-be corpse of the unfortunate Brad Vickers, is the first, but latter one involve finishing the scenarios in a certain time with a certain amount of saves and healing items used. Needless to say there’s a lot to keep you busy. 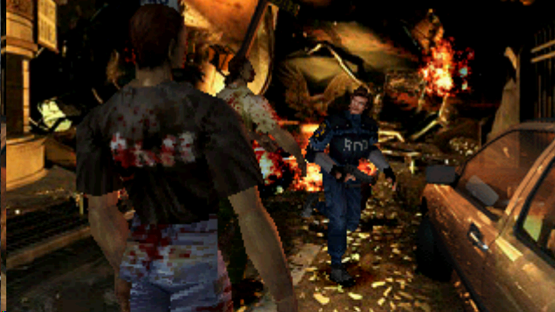 Visually, Resident Evil 2 is a little dated, but still arguably looks strong today. The decision to have pre-rendered static backgrounds, and so opting for what equates to a high resolution (for the time) wallpaper, means that the environments still look great and incredibly detailed to this day. Albeit the actual 3D polygonal models of the characters look a bit chunky and inexpressive, but it’s undeniable that the game looks great for a twenty year old title. Furthermore, the soundtrack of the game is absolutely incredible, carefully treading the line between grandiose and subdued with the Save Room theme standing out in particular, with it both making the player feel safe but also impressing upon them a feeling of encroaching helplessness. All of the music in the game has a similar duality, perfectly matching the feeling of the game being both heroic and desperate in the characters bid for escape. Resident Evil 2 is an incredibly special game to me personally, being one of the few games that I have ever simply consumed upon starting. I wanted to see everything this game had to offer, and wanted to explore every inch of the Raccoon Police Station. That hasn’t changed even today, with the classic location being no less thrilling to explore today, and also I still die regularly because of sheer overconfidence. 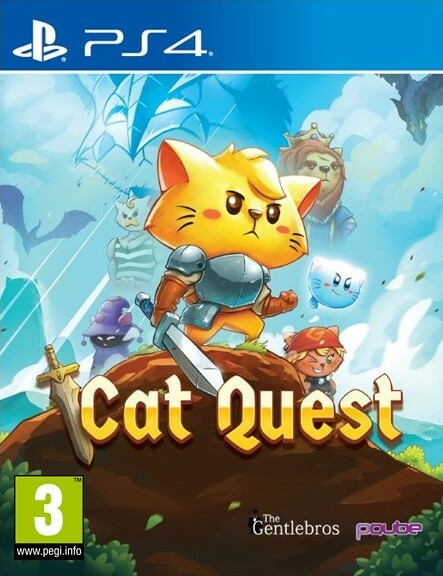 I couldn’t recommend this title more, especially with the remake coming this week. It is still a surprisingly solid survival horror game that is no less unnerving even if you know the games well. 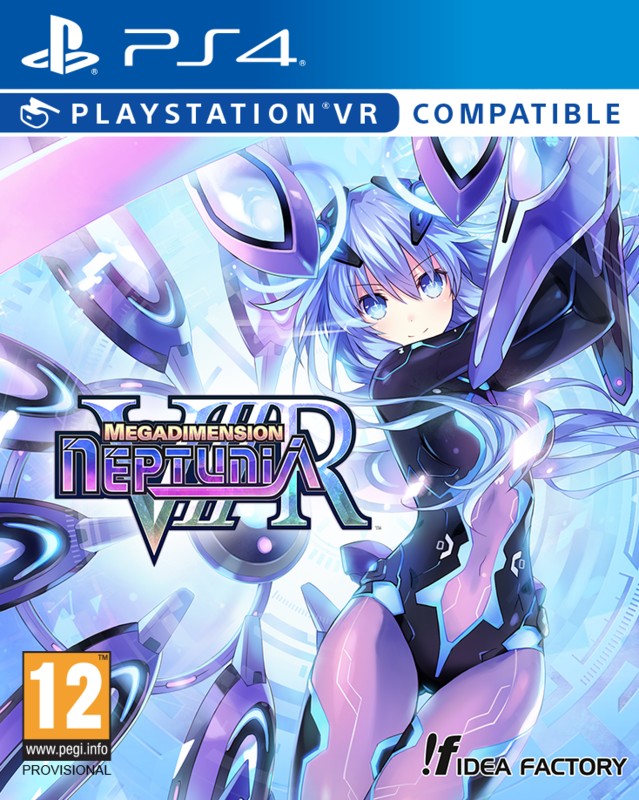 The music, visuals, and story have aged well with only certain gameplay mechanics feeling somewhat dated and so it’s an incredible title that everyone should really play. 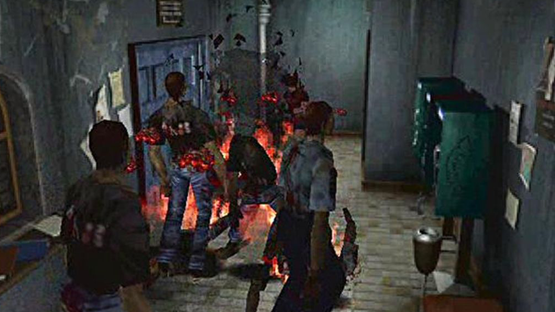 Have you played the original Resident Evil 2? Are you looking forward to the remake this week? Let us know in the comments, or on Facebook and Twitter, and check back for more coverage of Resident Evil and other Japanese titles! Resident Evil 2 is out this Friday January 25th 2019 for Playstation 4, Xbox One and PC. Interested in the game? 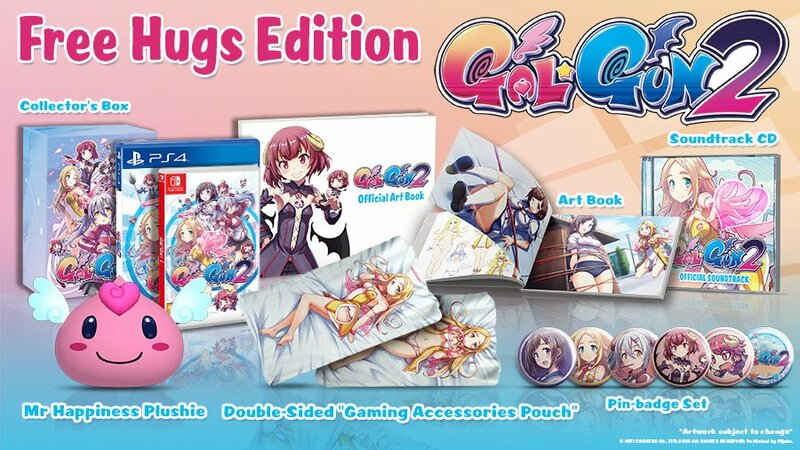 Why not pre-order it here?